Add a Cedar Log Gun Cabinet to your home. 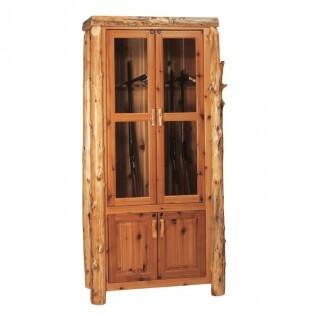 Display and store 8-12 guns in one of these cabinets made from Northern White Cedar Logs. 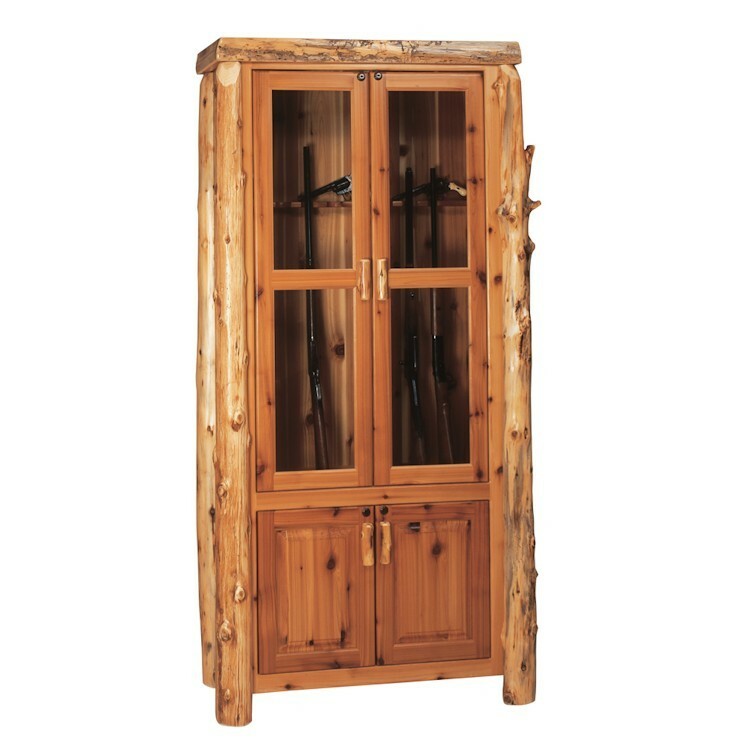 These log cabinets feature locking upper and lower cabinets for extra safety for guns and ammunition. Hinges are concealed European Style, upper cabinet is lit. The clear coat catalyzed lacquer finish, gives extra durability to the hand peeled logs.